I finally managed to implement a basic material system. Materials are complex surfaces based on multiple textures combined together. The Material System offers a wider variety of texture effects. 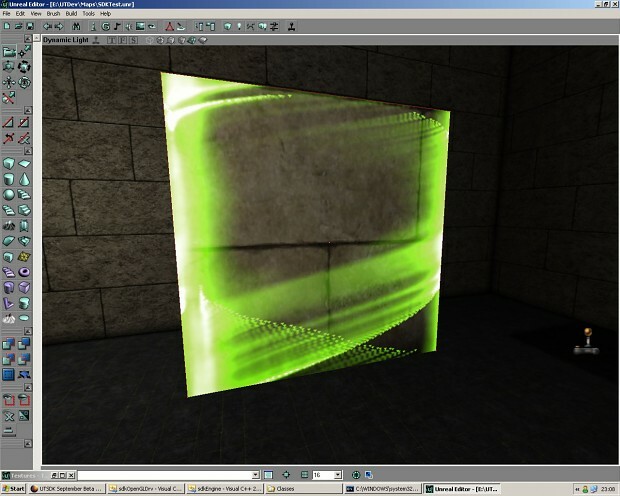 In this example you see 2 textures simply blend together, where the green texture is used as the Material's emissive Texture.